Helping people find consonance. Break through the doubt. Think Bigger. #BeLimitless. 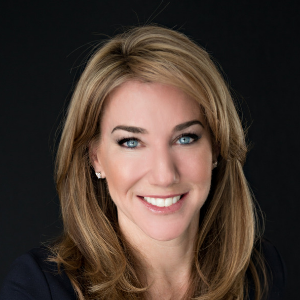 Laura Gassner Otting Laura is an instigator, a motivator, and a provocateur who has never met a revolution she didn’t like. She’s turned on by the audacity of “The Big Idea” and that larger-than-life goal you just can’t seem to shake. As an inspiring keynote speaker and founder of Limitless Possibility, Laura collaborates with entrepreneurs and investors to push past the doubt and indecision that consign great ideas to limbo. She delivers strategic thinking, well-honed wisdom, and catalytic perspective informed by decades of navigating change across the start-up, nonprofit, political, and philanthropic landscapes. 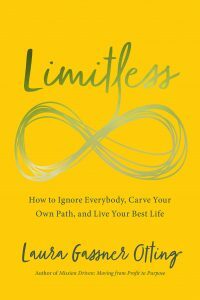 She has empowered thousands through her speaking engagements and inspirational writing, including her newest book, Limitless: How to Ignore Everybody, Carve your Own Path, and Live Your Best Life. Laura’s 25-year resume is defined by her entrepreneurial edge. She served as a Presidential Appointee in Bill Clinton’s White House, helping shape AmeriCorps; left a leadership role at respected nonprofit search firm, Isaacson, Miller, to expand the startup ExecSearches.com; and founded and ran the Nonprofit Professionals Advisory Group, which partnered with the full gamut of mission-driven nonprofit executives, from start-up dreamers to scaling social entrepreneurs to global philanthropists. She is the author of Mission-Driven, a book for those moving from profit to purpose. Through her own commitment to give back, Laura has helped build a local Montessori school, co-founded a women’s philanthropic initiative, advised a start-up national women’s PAC, grew a citizen-leadership development program, and completed three charity-inspired marathons—projects emblematic of her passions and values. How to ignore everybody, carve your own path, and live your best life. How to find and master your leadership voice.